CE Courses must be at least 3 hours in length (excluding breaks and meals). CE Courses approved by other health professions or other health related associations will most likely be approved but do need to be submitted to the KPTA PCC for final review and approval. All other CE Courses need to be submitted to the KPTA Continued Competency Committee (CCC) for review and approval. Pre-approval of courses is recommended to ensure CE credit. Applications submitted incomplete will be returned to applicant. This form should be used by entities (hospitals, clinics or individuals who are providing the course to Physical Therapists and Physical Therapist Assistants). Applications for approval must be received at least 6 weeks prior to course date. Fee of $100 must accompany the completed application for Approval for Continuing Education Course – Single Course Provider” obtained at www.kpta.org. CE Courses approved by APTA, APTA Sections or Chapters are automatically approved and may be submitted, with fee, for assignment of approval number to be posted on the web. Complete application and submit to KPTA office. KPTA CCC responds to "Single Course Provider” within 4 weeks of receiving application with decision. 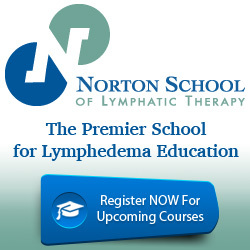 Approved courses will be posted on www.kpta.org within 2 weeks. This form should be used by Physical Therapists or Physical Therapist Assistants seeking approval of a course they have taken, or intend to take. Applications for approval must be received at least within 30 days of course completion. Fee of $10 must accompany the completed application. Obtain "Application for Approval for Continuing Education Course – Licensee form” at www.kpta.org. Note: CE Courses approved by APTA and/or its Components and Sections are automatically approved by the KPTA Continued Competency Committee (KPTA CCC). Complete application and submit to KPTA office (e-mail or mail).7. KPTA office reviews application and forwards appropriate application for the KPTA CCC to review. KPTA CCC responds to "Licensee" within 4 weeks of receiving application with decision. This form allows for entities (facilities, hospitals, clinics, individuals, etc.) who offer multiple courses to become corporate sponsor of education. The corporate sponsors may submit multiple courses for approval within a two-year period at a single fee of $600. Entities intending to offer six or more different courses within a two-year period should consider becoming a corporate sponsor of education. Obtain "APPLICATION FOR CORPORATE SPONSORSHIP OF CONTINUING EDUCATION COURSES” at www.kpta.org. CE Courses approved by APTA and/or its Components and Sections are automatically approved by the KPTA Professional Competency Committee (KPTA CCC). Complete and submit application to KPTA office (e-mail or mail). Fee of $600 (for a two year period) must accompany the completed application. KPTA office reviews application and forwards appropriate application to the KPTA CCC for review. KPTA CCC responds to "Corporate Sponsr" within 4 weeks of receiving application with decision.